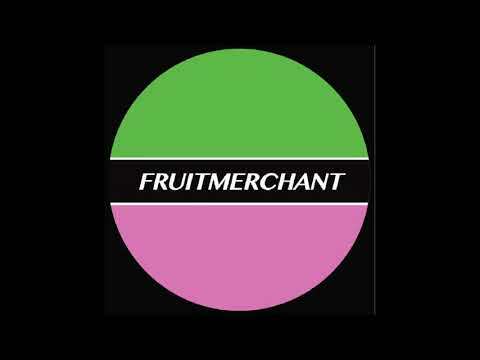 Fruit Merchant, the newborn label child of Hidden Spheres is turning three. Releases, that is. Launched earlier this year, Tom Harris has already managed to put three different offerings together for the masses. We had the pleasure of premiering the B1 on the first EP from the label founder himself entitled “Wonders of the Rainforest”. The follow up was a re-issue of the classic Earth Boys (Roy Davis Jr & Jay Juniel) release “Destination Heaven”, initially out on the then defunct, but now newly revitalized Undaground Therapy Muzik. Fruit Merchant’s third offering comes from fresh-faced producer Native Cruise who’s got one track released to date on YAM Records. We’ve got the pleasure of premiering the B1 and title track, “Calypso Spring”. The dreamy chord sequence starts off the production with just a slight hint of darkness. A simple yet groovy percussion groove introduces the rhythm and then the fat sounding bass comes in, following the downward trajectory of the chords. This ditty is a slowly developing jam that really hits its stride a little past the midway point, where all of the elements start to come together. An arpeggiated mallet melody, cosmic pads and the suspenseful background theme work with the other elements to create one of the more interesting pieces on the EP. We can see this one perfectly closing out some dancefloors in the wee hours. Make sure you keep an ear on Native Cruise. Don’t catch yourself sleeping, get your pre-orders in.